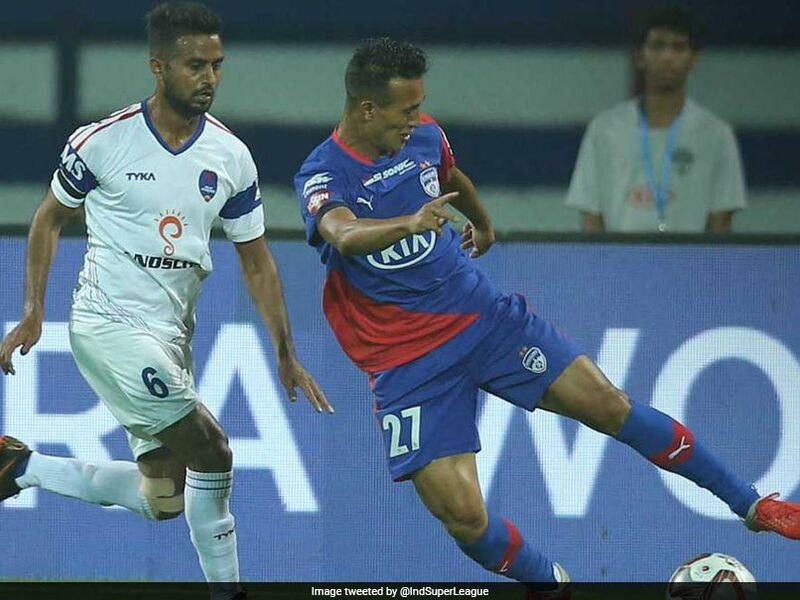 Udanta Singh notched the winner for Bengaluru FC in captain Sunil Chhetri's 150th game. 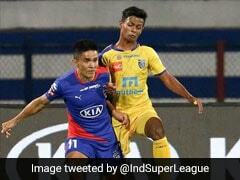 Udanta Singh paid a perfect tribute to his idol Sunil Chhetri on the occasion of his captain's 150th game for the club, as the young Manipuri lad scripted Bengaluru FC's solitary goal win over Delhi Dynamos in an Indian Super League (ISL) tie at the Sree Kanteerava Stadium on Monday. 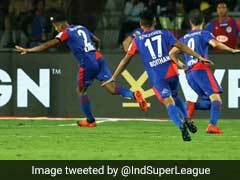 After surviving an onslaught from Delhi Dynamos, Udanta Singh notched the winner (87th minute) to win it for captain Chhetri. 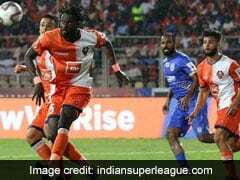 Playing their seventh game of the season, Bengaluru FC are now on the top of the ISL table with 19 points, while it seems all but over for the Dynamos as they remain rooted at the bottom after 9 games, yet to register a clear win to their account. 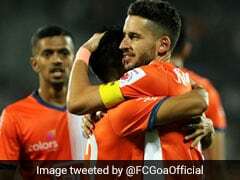 The first opportunity fell for the home team when Chhetri latched onto a long ball, however, Pritam Kotal recovered well to cover him off with the advancing Albino Gomes clearing the ball. 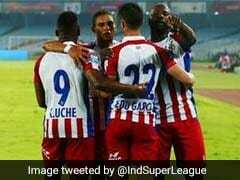 In the 27th minute, Nandhakumar went on a great run down the right after some good build-up play. However, the final pass to Andrija Kaluderovic saw the striker slam the shot wide. 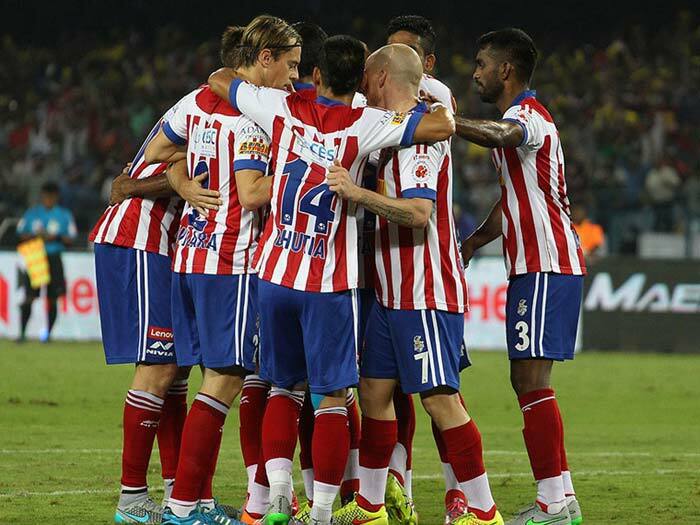 Delhi strove hard to get an equaliser. However lack of cutting edge in the attacking third meant their moves broke down. 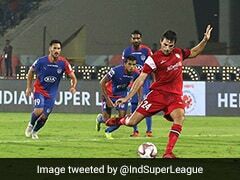 Bengaluru brought on Erik Paartalu as they searched for some solidity in midfield. With four minutes of regulation time left, Bengaluru found themselves in the lead after a mix-up in the Delhi defence. 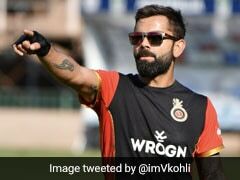 A loose ball after a Bengaluru move broke down wasn't cleared properly. 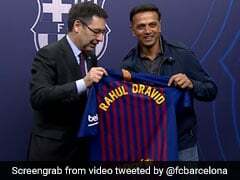 It finally fell to Udanta, who saw a stinging grounder go in off the post after taking a deflection off Marti Crespi.